Home / News / News updates / Winners presented with their trophies! 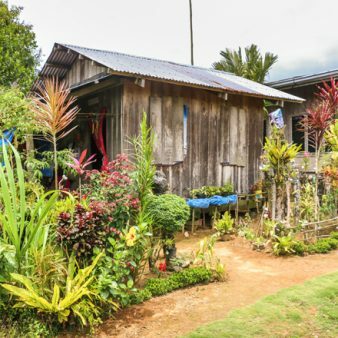 On Friday 9 February, at the World Urban Forum 9 in Kuala Lumpur, the two winners of the 2017 World Habitat Awards took centre stage and received their trophies. 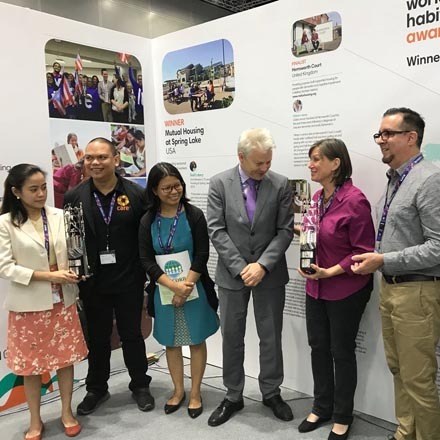 Rafael Tuts, Director Programme Division UN-Habitat, and David Ireland, World Habitat Director, presented the trophies to the Post-Haiyan Self-Recovery Housing Programme and Mutual Housing at Spring Lake. You can enter the World Habitat Awards 2018 online now.